Qualified Veterans may be eligible for home loan up to $668,750 to purchase property in Santa Clarita. It goes without saying that those who have served honorably in our military services deserve our thanks and support. The Federal Government thinks so, too. 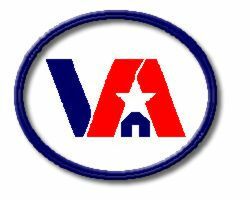 Since the end VA Home Loanof World War II, the Veterans Administration has made it possible for vets to obtain home mortgages with zero money down. With a population in California of just under two million, veterans from all branches and all walks of life are returning from military service in search of a better life. The VA offers many benefits and services to military veterans that include active, retired, reservists, and those who concluded their term of service with an honorable discharge. The Veterans Administration does not grant loans. They guarantee a portion of the loan to the mortgage lender who is servicing the loan for the qualifying veteran under the program. It’s important to know that this is not a first time home buyer program. Veterans may take advantage of the VA Home Loan program even if they’ve purchased a property in the past. Also, veterans can re-use the program, provided they are purchasing the home as their main residence. VA home loans can be used to purchase a single family residence , condominium, or manufactured home. They can also be used as a way of securing funds to build a home or make home improvements. Active duty military are eligible for the program after they’ve served 90 consecutive days in service. Veterans who served in active duty are eligible after having served at least 24 consecutive months in service. Reservists/National Guard who served in the Gulf War from 1990-present for at least 90 consecutive days are eligible. If they have not served any active duty in combat, the minimum eligibility is six years reserve duty and were discharged honorably. All veterans must have received a discharge other than dishonorable to be eligible. Veterans must also meet credit eligibility based on lender qualifications.